Summer can be great fun for the preschoolers in your life, affording you the opportunity to make unforgettable memories for both of you. Of course, you know all too well that keeping preschoolers happy and focused can present a challenge. Creating an awesome list of fun summer activities to do with your preschoolers can also act as a helpful guide for grandparents, babysitters, aunts, and uncles to have an exception summer of memories too. 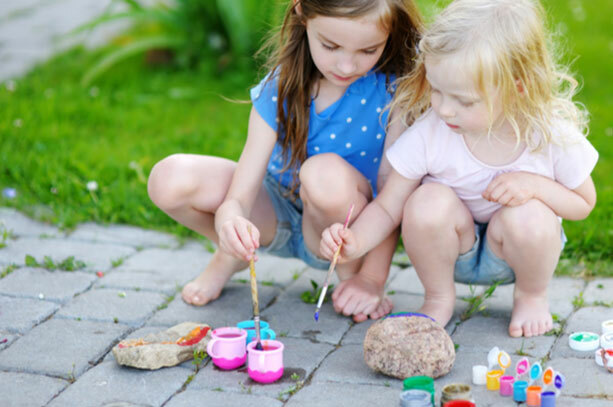 Here are some fun ideas to help you get your summer fun for preschoolers list started. There are lots of places to visit in your area that will allow you and your preschooler to explore and learn about where you live and the fun things to do there, after all fun and learning always go together! The zoo, waterpark, or the aquarium may immediately come to mind and it should definitely be on your list of preschool summer fun, but how about some less conventional field trips? Visit your local farmer’s market and enjoy a morning of sampling the vendor’s wares. Better yet, head out to a local pick your own farm and teach your little one about picking berries or summer veggies. Consider a visit to your local nature center to learn about the plants and animals native to the area. If you have one nearby, explore a fish hatchery or visit a butterfly garden. Find a great state or national park, pack a picnic, and head out for a day of exploring. While there, go canoeing or feed the ducks, find a steam and look for minnows, tadpoles, and more, or collect bits of nature (check with the park ranger and get the okay) to assemble into a collage when you get home. If you’re field trip takes place at a national park, help your preschoolers and school-age kids earn their junior ranger badge during your visit. Want to help your preschooler master a new activity during the summer? Teach the roller skating or enjoy time biking (or triking) a park trail, or head to a farm or ranch for horseback riding. Head out to a baseball game, grab some snacks, and learn to keep score together. Sign up for a FREE kid’s workshop at local stores and build something or create artwork together. Visit a museum together to learn or head to the local fire station for tour. Summer is also a great time to teach your child about being a good citizen and helping others by heading out to clean up day at a local park, volunteering at an animal adoption center, or visiting a retirement home and share stories with the residents. From cooking to crafting to painting, the possibilities are endless. If cooking is something you enjoy, your kids will too. Keep it simple and start with your favorite cookies, letting the little ones help in all the ways they can. After baking grab your favorite ice cream and enjoy homemade ice cream sandwiches. If you’re feeling really ambitious, you can make the ice cream too! Your kids will also enjoy making cupcake batter, baking their cupcakes in ice cream cones and decorating them. Cooking is also an excellent way to introduce your little ones to new flavors. Head to the grocery store with the kids and choose some unique pizza toppers to try on homemade pizzas. Let each child create their own pizza variety and have a pizza tasting party. You could also visit an international food store and explore new spices, choose a few and try some kid-friendly international foods. If cooking isn’t really your thing, consider these other creative options. Using tissue paper, create Mexican paper flowers or make a fort out or old cardboard boxes. Grab some sidewalk chalk and create a mural together or use washable paints to decorate the newly built fort. Create birdhouse out of popsicle sticks and bird feeders with peanut butter and bird seed. Plant a garden together – flowers, herbs, or veggies. The possibilities, as you can see, are endless. Now, make your list, and don’t forget to take pictures all summer long. At the end of your summer print out the photos and make a summer photo journal of all the fun you had together!